Yamanaka Brewery and its main brand, Aoitenka, are not much known in Japan and little away from the Western part of our Prefecture, but they certainly deserve all their praise in spite of their rarity! 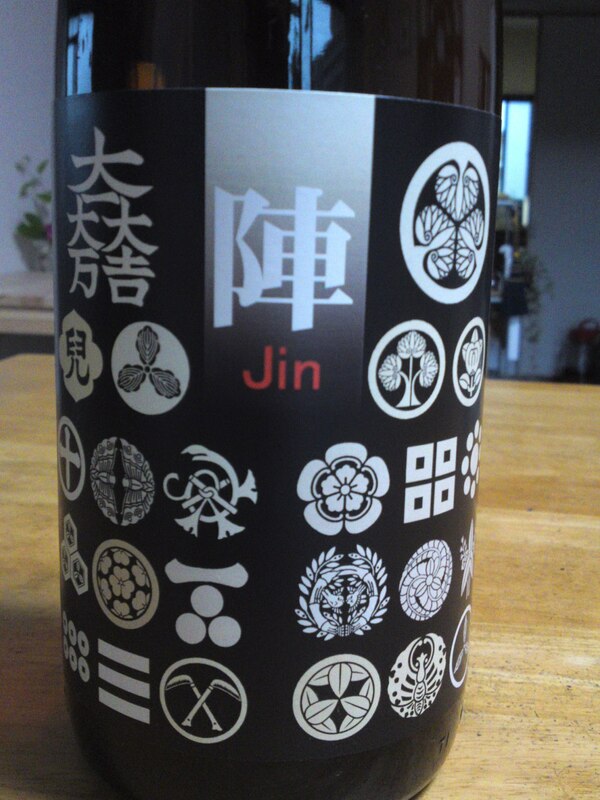 This particular limited sake is called Jin/陣. “Jin” is a military term meaning “camp” or “position”. 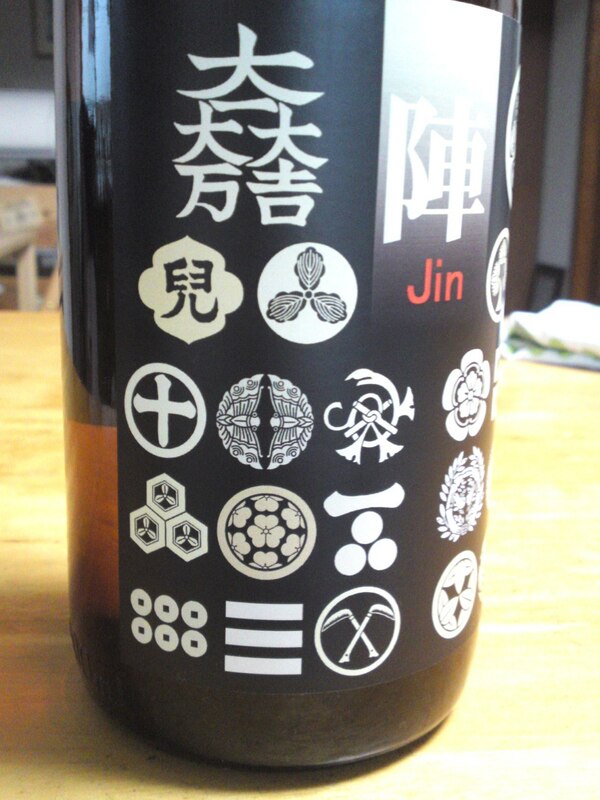 In the old days the “jin” was marked with banners bearing the Arms/”mon” of the army overlord or commander. The label features some of these “mon” for a beautiful design! 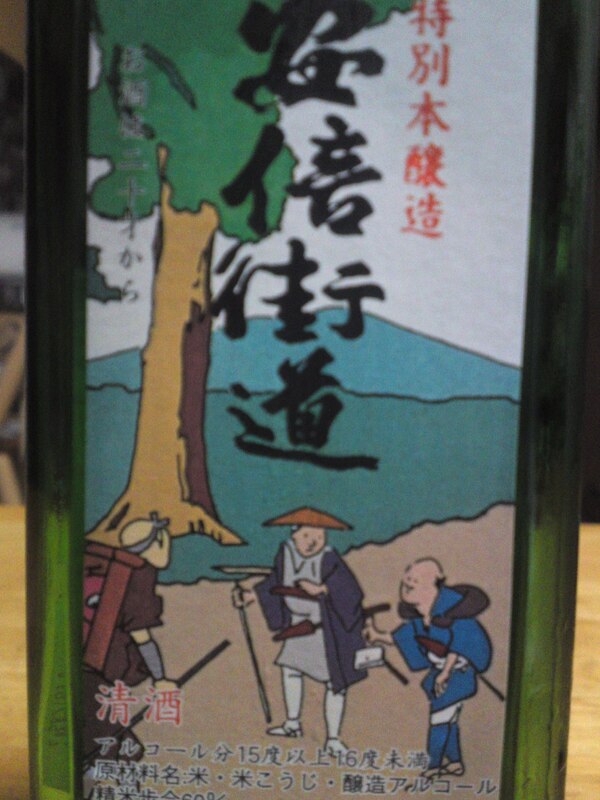 The “mon” represented with the bottleneck label is that of Shogun Tokugawa Ieyasu to retired to Shizuoka (called Sumpu at the time) at the beginning of the 17th Century! 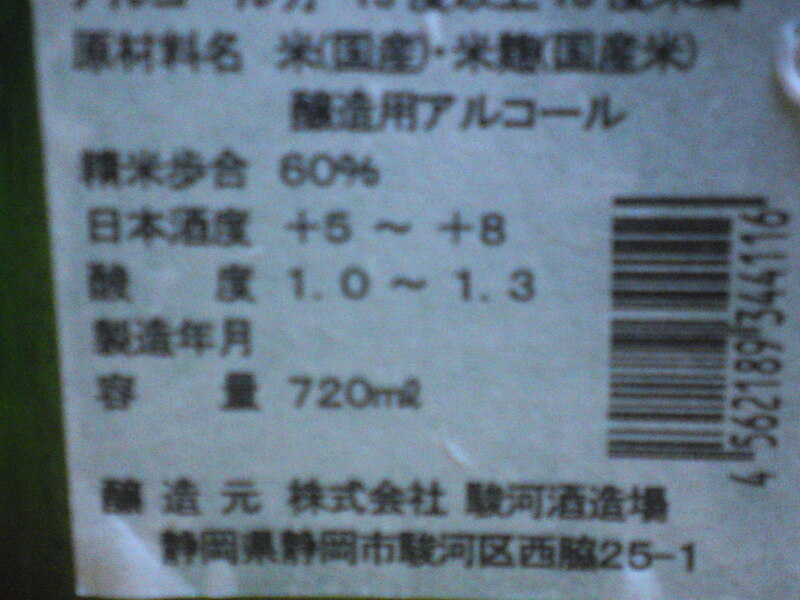 Taste: Dry and fruity attack backed up by junmai petillant. Complex. Dark chocolate, coffee beans, oranges. Starts soft to finish on a very dry note. Becomes a lot drier with food with a predominance by oranges. Dark chocolate making a strong comeback away from food, adding a soft note again all over the palate. Overall: A sake obviously designed to be enjoyed with food but worth tasting both away and with food for interesting comparison. Could be drunk at all temperatures for more fun and more discoveries. 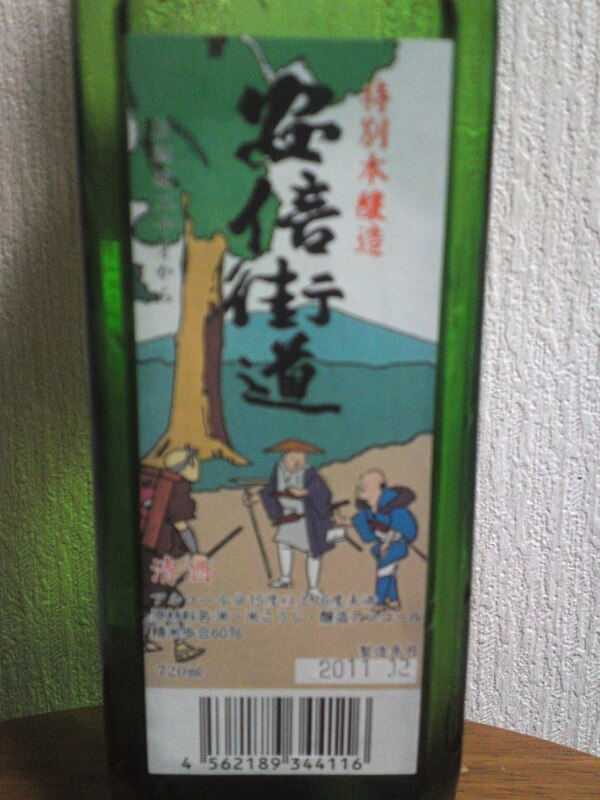 A solid and dependable sake for all seasons in spite of its limited production! “Abekaido” which means “Abe River Route” was part of the old “Tokaido/East Route” which ran from Edo to Kyoto. People then had no recourse but to cross the Abe River in Shizuoka City, then called Sunpu, unless they wished the country beyond the Southern Alps. The Abekaido brand was originally created by the defunct Yoshiya Brewery that the present Suruga Brewery acquired upon the retirement of its last sake masterbrewer! 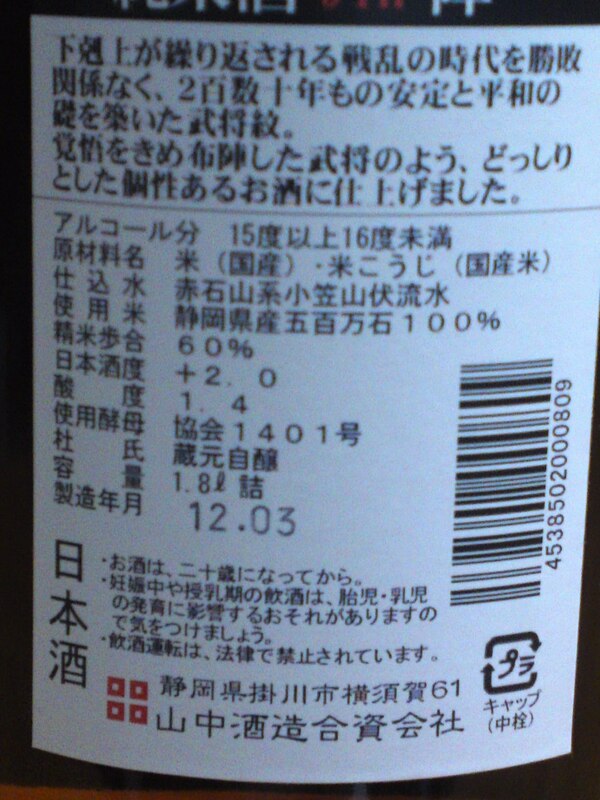 Taste: Dry and fruity strong attack backed by pleasant alcohol. Warming up the back of the palate. Complex. Lingers for a while on a dry note. Dark chocoleate, banana, dry almonds, oranges. Gets drier with food with a stronger accent on oranges and almonds with an appearance of lemons. Dark chocolate reappears away from the food with a sweeter note. 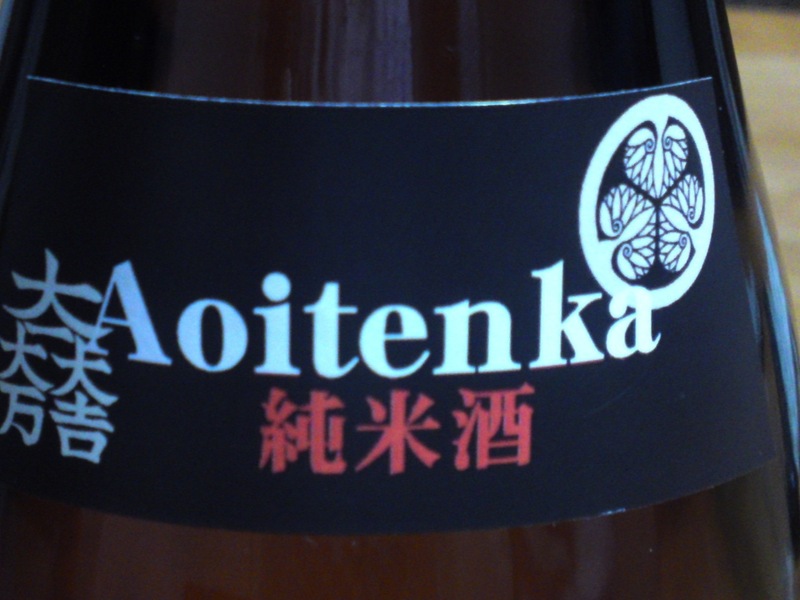 Overall: A sake definitely conceived for food as it doesn’t vary much. Marries very well with any food, even curry!